River Restoration Adventures For Tomorrow takes volunteers on river trips in the name of restoration, research, and environmental education. We seek to aid in the restoration, conservation, and research of important river corridors, while fostering responsibility through environmental stewardship and education in order to preserve our watersheds for the future. 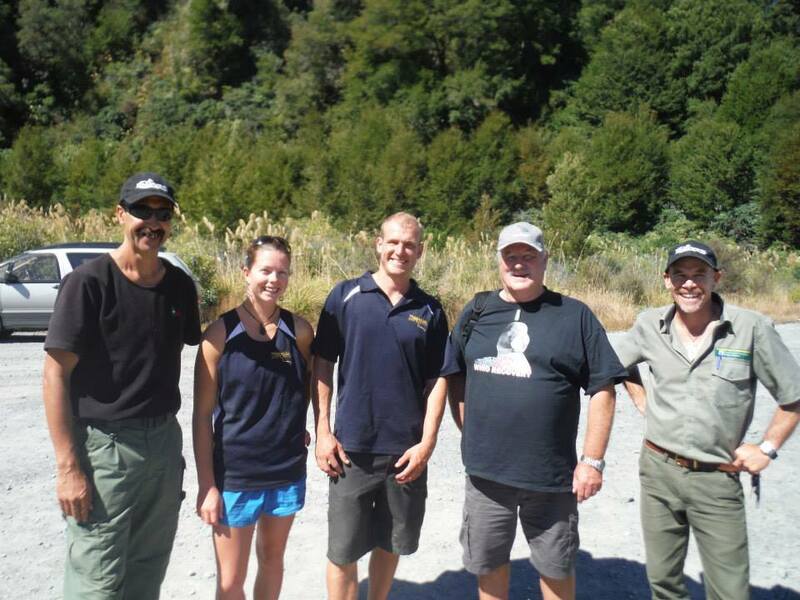 RRAFT Founders Jennie and Dan engaging in a Blue Duck Conservation project in New Zealand, 2014. River Restoration Adventures for Tomorrow (RRAFT) is a registered 501(c)3 non-profit organization, started in June 2014, with the goal of getting people on their local rivers in order to learn about the importance of healthy watersheds. We hope to make a positive impact through hands-on restoration projects and on-river environmental education courses. RRAFT is focused on riparian restoration, community engagement, and environmental education. We specialize in offering both day-long and multi-day river trips during which we implement different restoration projects and environmental education. Our field work includes: invasive species removal, erosion control, campsite/trail maintenance, scientific data gathering, data monitoring and more! RRAFT works closely with land management agencies and outdoor volunteer organizations to fill in gaps in conservation work that exist because of insufficient funds, staff, or accessibility. Projects are coordinated with the help of these organizations, and carried out by our team of raft guides, educators and volunteers. We also offer education programs for groups! Our environmental education approach invites communities to get involved and interested in protecting our rivers through hands-on and place-based learning on rafting trips. RRAFT's "River Discovery Program" offers custom educational experiences for all ages and backgrounds. Our program often combines restoration work with an environmental learning component, encouraging a better understanding of conservation work and why it is needed. Through both conservation work and environmental education, we are dedicated to fostering a greater sense of environmental stewardship and engagement for our communities, and strongly believe that by doing so a responsibility to care for the environment will spread, inspire, and carry on to future generations.